VHC Annie Buffalo Tan Check Valance 16x90, Available Now! 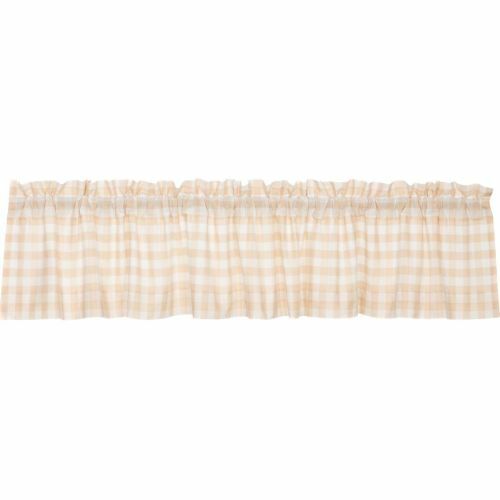 No need to wait until tomorrow, with the Annie Buffalo Check Valance you can let in the sun today (or keep it out if you prefer). Three-tone checks create a relaxed country look for your windows. 100% cotton, lined.